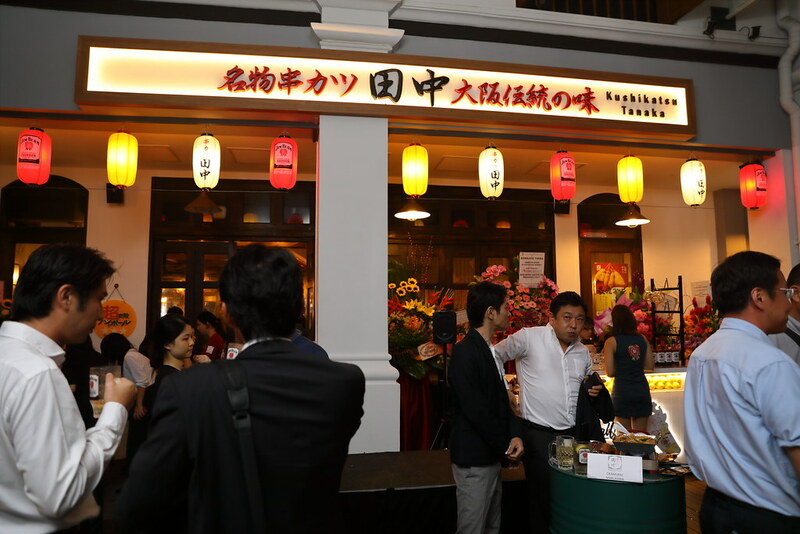 Japan's number one kushikatsu chain, Kushikatsu Tanaka has opened its first Asian outlet at Clarke Quay, Singapore. 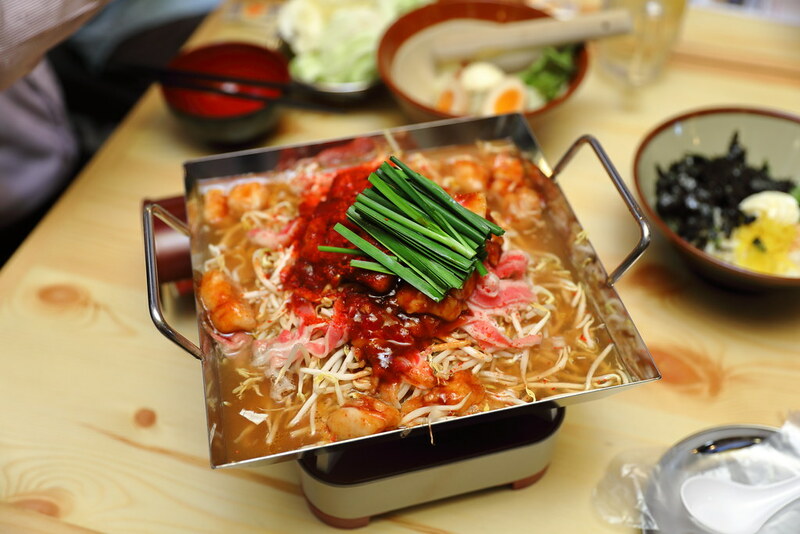 It is famed for its Osaka-style fried cutlet skewers and signature special dipping sauce, with over 165 outlets in Japan. If you are not a fan of beansprouts, you will hate the Chiritori Hotpan with Beef ($18 for 2 pax). 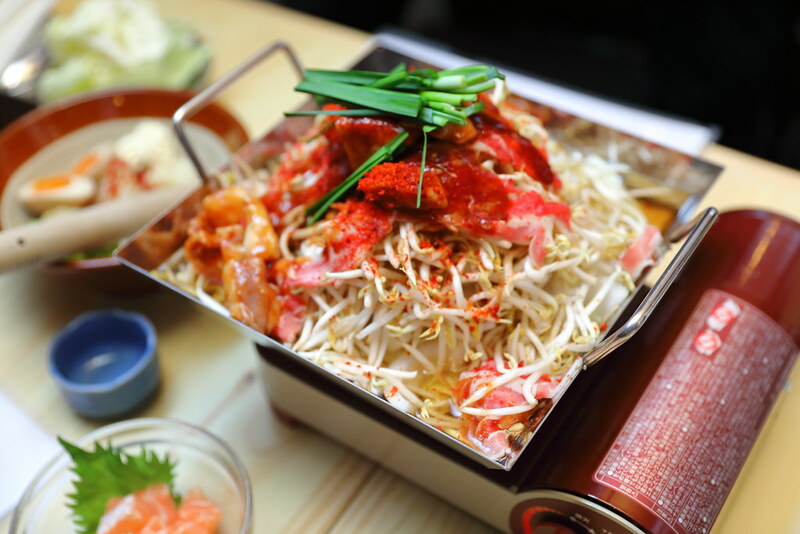 This is because the sizzling hotpan of beef slices is served on a bed of beansprouts, topped with beef offal and chilli powder. Diners can have a choice of beef or pork. After finishing the nabe, diners can rice, curry powder, egg into the pan to soak up the rich broth for a delectable curry cheese risotto. 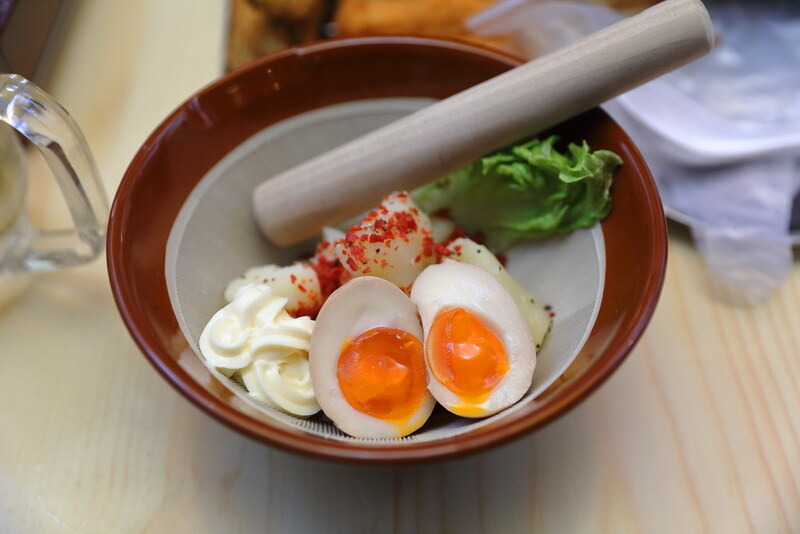 Besides the fried cutlet skewers and hotpan, the menu also offers a selections of starter such as DIY Onigiri, Takoyaki and Potato Salad. My favourite is their DIY Potato Salad ($8). You can choice to have your potato salad creamy or chunky, depends on how much you want to mash the potato with the Japanese mayonnaise, seasoned boiled egg, fresh lettuce and bacon bits. 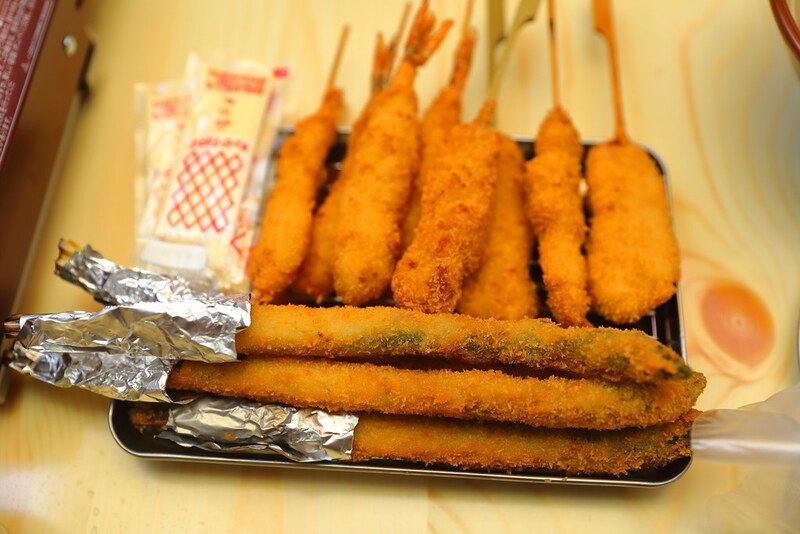 The signature here is non other than the Golden Kushikatsu with over 30 variations such as kushikatsu beef, prawn, asparagus, lotus root, all these range from $1 to $2.50 each. 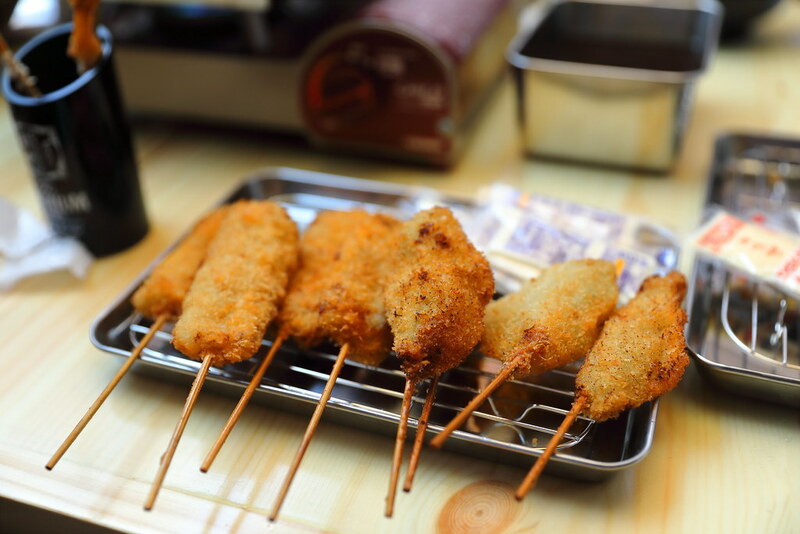 The skewers are covered in a finely grounded panko crumbs, deep fried in a unique blend of oil consisting of beef fats. The result is a light airy crispiness on the exterior. Not forgetting to dip the skewers into the special dipping sauce, a well guarded family recipe passed down from creator Mr Yukichi Tanaka, to his daughter, Ms Hiroe Tanaka who is currently the Vice-President of the business. 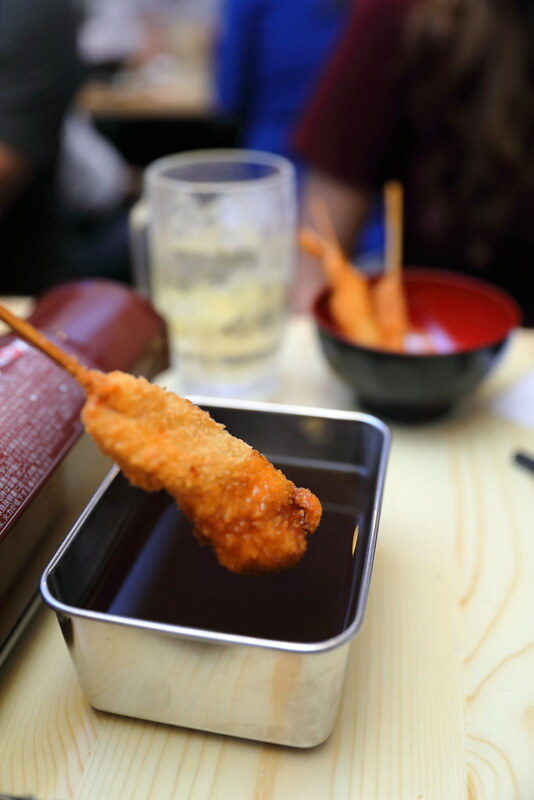 The sweet and savoury dipping sauce is served in a tin container, which pairs the fried skewers excellently, However do remember not to double dip. 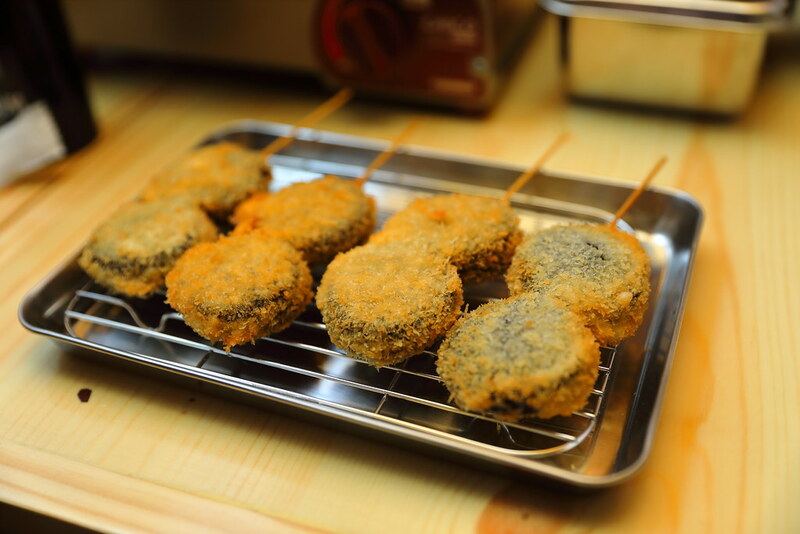 A very special kushikatsu is the Cookies and Cream skewer. I didn't know that cookies can even be deep fried. The cookies and cream skewer can be some sort of a dessert too with its sweetness. At Kushikatsu Tanaka, you can you also find one of the largest range of Jim Bean highballs with over 15 varieties such as Triple Berry Highball, Triple Citrus Highball and Aomori Ringo Highball, starting from $6.